With no universally accepted regional breakdown of the state, the structure of Colorado is refered to generically as the Eastern Slope and the Western Slope. 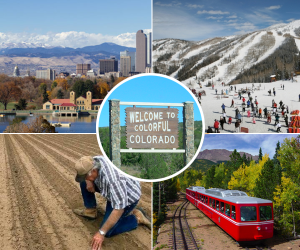 Containing much of the Rocky Mountains and with the highest elevation in continental U.S., Colorado very much embodies the free spirit that this country was founded on. Named for the Colorado River and encompassing the western edge of the Great Plain, Colorado has topography as unique as its population. Admitted to the Union in 1876 as the 38th state, the region was inhabited by indigenous people for more than 13,000 years prior to contact with the first Europeans to enter the area. Francisco Vasquez de Coronado led the first European expedition throughout the area. Nearly 100 years later the Kingdom of France claimed the area. The secured part of the state as part of the Louisiana Purchase, but later abandoned claims to the area as part of the purchase of Florida. In totality, the territory of Colorado was acquired by the United States following the conclusion of the Mexican-American War. The state is home to just over 5.187 million, with the most populous city being Denver. In fact, the Denver-Aurora-Boulder metropolitan area holds almost 62 percent of the state’s residents. Colorado has consistently been recognized for its strong and flourishing economy, and in 2010, CNBC named it as a Top State for Business, behind only Virginia and Texas. 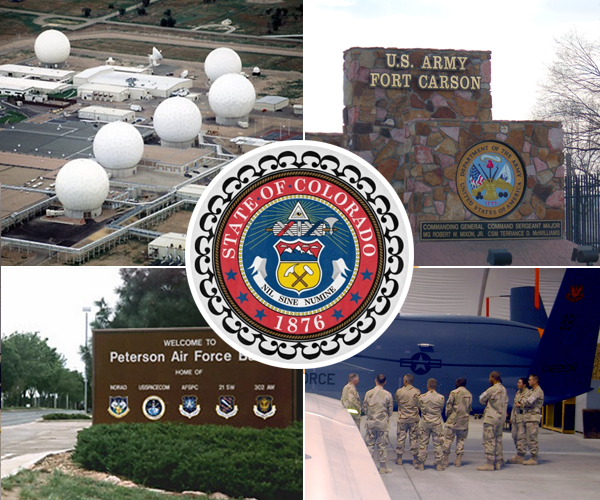 With seven major military installations being located in Colorado, the state has a veteran population of almost 400,000, making it one of the premier places for veterans to purchase a home after their service. 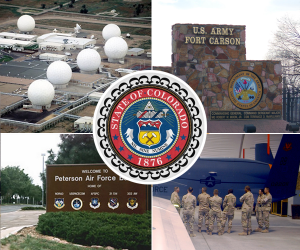 Bases in the state include the Pueblo Chemical Depot Army Base, Fort Carson Army Base, Schriever Air Force Base, Peterson Air Force Base, Cheyenne Mountain Air Force Base, Buckley Air Force Base, and Air Force Academy Air Force Base. In order to obtain a VA home loan, a termite inspection is not required, but a Net Tangible Benefit worksheet is required. The portion of PUD HOA assessments superior to the VA first mortgage under Colorado’s Super Lien law can remain superior. For veterans considering the purchase a home in Colorado, using a VA home loan, it’s important to remember that the purchase of manufactured homes is not allowed. Veterans in Colorado with a service-related disability that rates as 100 percent are entitled to the property tax exemption of 50 percent of the first $200,000 of the property value. To find out the exact dollar amount you qualify for, call the VA Home Loan Centers Applications Support Desk at 888-573-4496 or fill out the VA Home Loan Application located here.